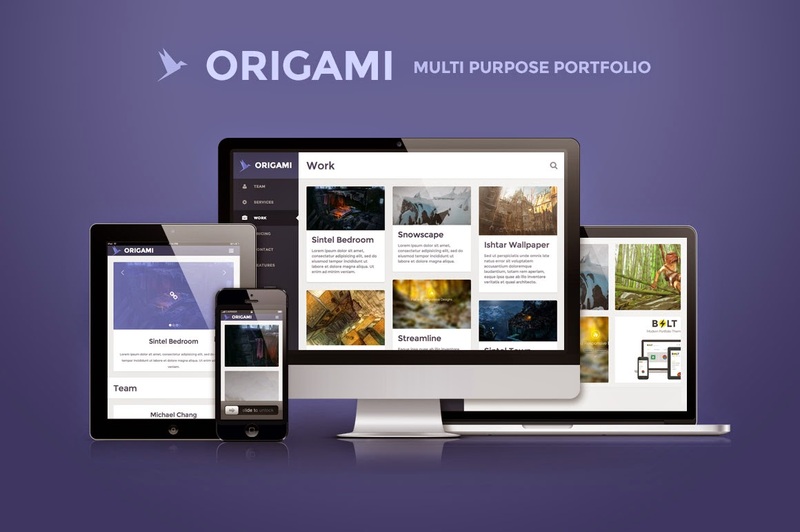 Origami - Creativemarket multipurpose template Origami is a multipurpose template that is perfect for individuals or businesses. This theme comes with crisp graphics and is retina ready and is responsive meaning it looks great on all devices. It has many unique sections that you can rearrange and customize so it can suit your needs exactly. There are 2 layouts already included: Corporate style and Portfolio style.